Did you know you can get a Treasure map to hunt for hidden Eggs at Disneyland? This special scavenger hunt is called The Egg-Stravaganza and runs in Disneyland from March 16 - April 1, 2018. 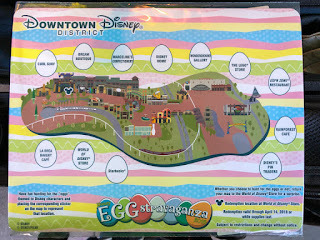 There are 3 different maps available Disneyland, Disney California Adventure and Downtown Disney District. You purchase the map for $5.99 and then you can go hunt for the hidden eggs. When you find them you place a sticker on your map. 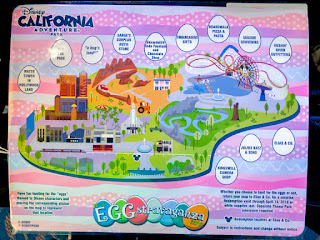 When you are finished come back to where you purchased the map to collect your prize. Another option is when you purchase your map, you can claim your prize and receive it then (and the map is yours to keep). That is what I did, it saves time from having to wait in line and that way you get the prize you want (they do run out). 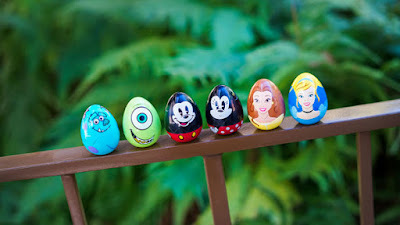 The prizes are plastic Disney character eggs. There are 6 eggs to choose from (while supplies last) Minnie, Mickey, Belle, Cinderella, Sulley or Mike. The same 6 eggs are at each different map location. 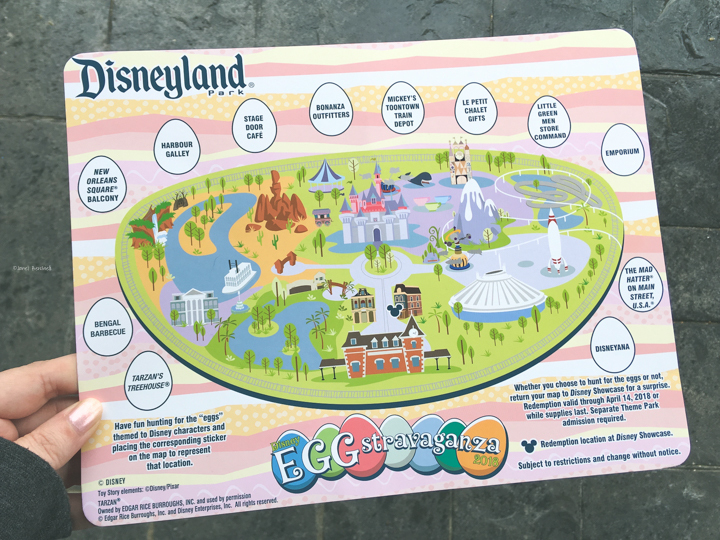 You can also purchase the egg without the map for $5.99, otherwise it is included with the map purchase. 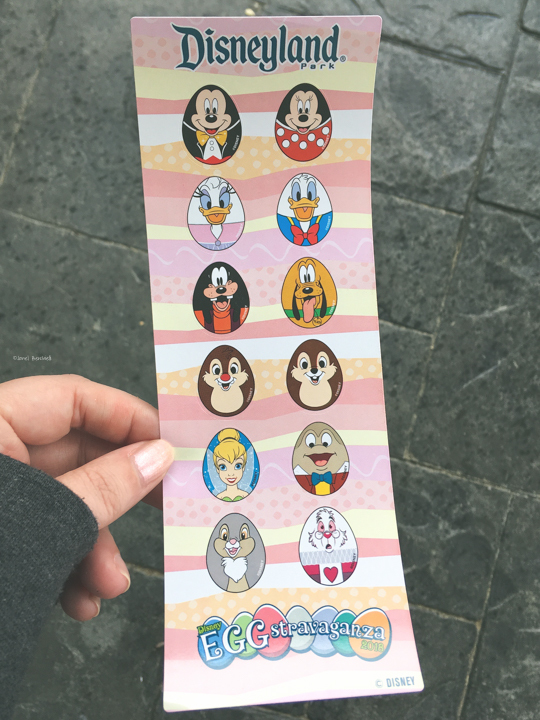 Inside the prize egg is a sticker themed towards the character. I will admit at first it was hard, but once you find one to get an idea of the size it gets easier. 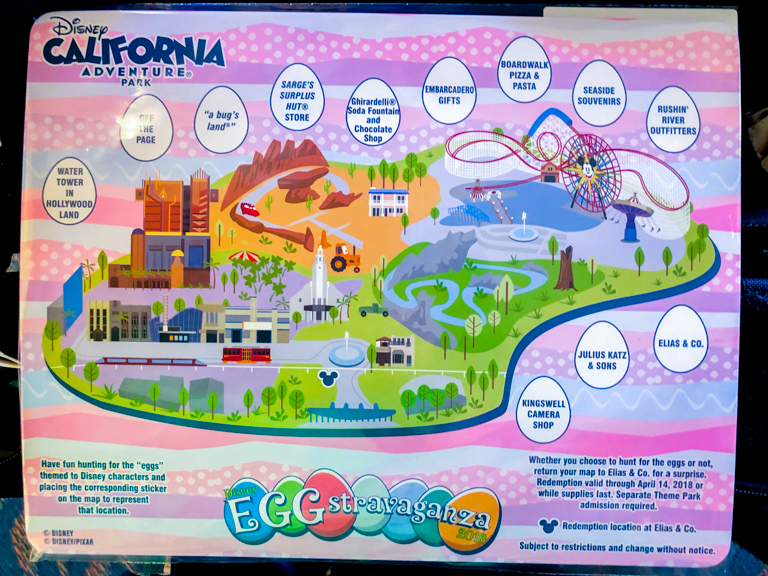 The map is definitely needed to help give you an idea of the general area the egg is hidden. 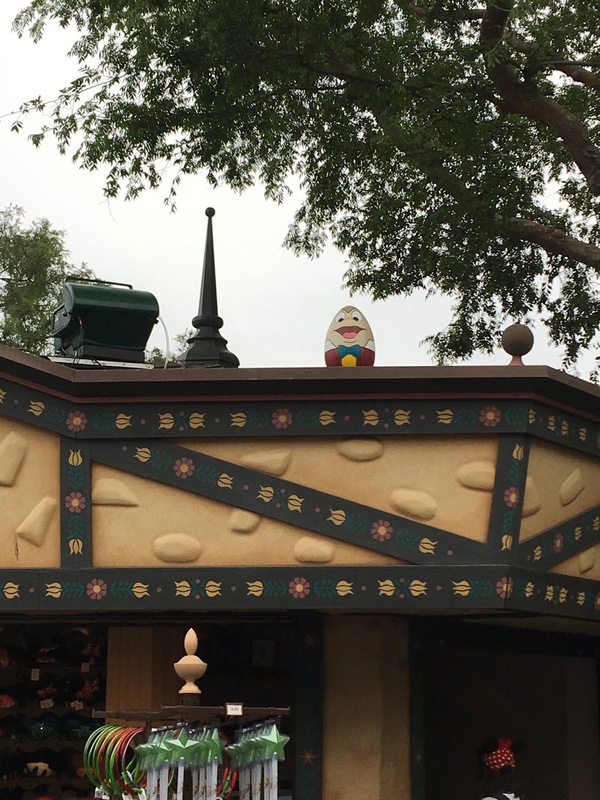 They are painted as different characters and are hidden above eye level so look up! 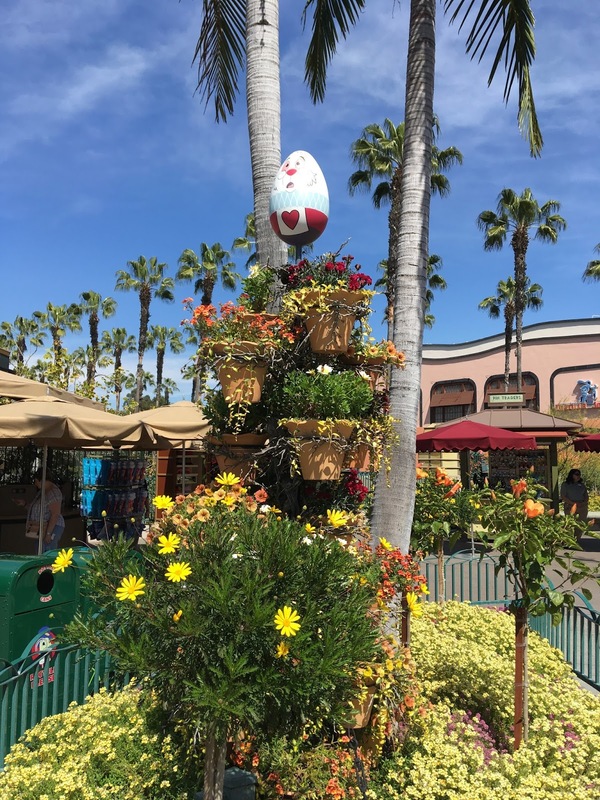 This is definitely a daytime activity, you can play at night if you’d like but it will definitely be more difficult to see the hidden eggs. 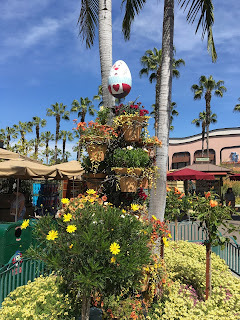 This was our first time playing the Egg-Stravaganza Hunt. We didn’t really hunt but we did find several of the eggs as we walked the parks. 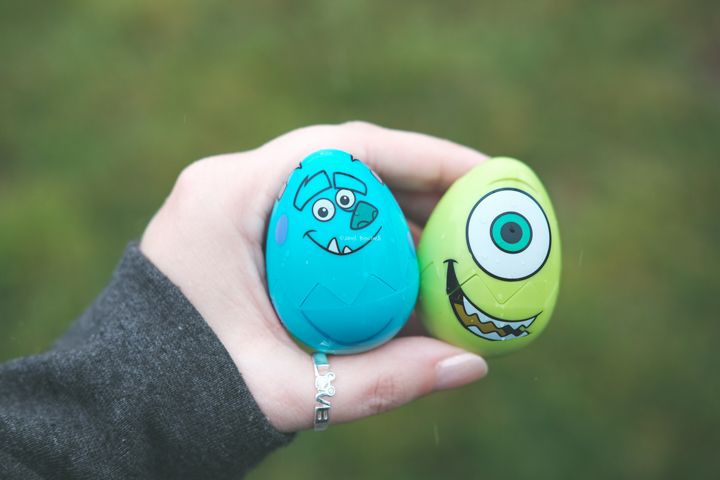 I mostly wanted the Mike & Sulley prize Eggs and the Disneyland map as keepsakes. 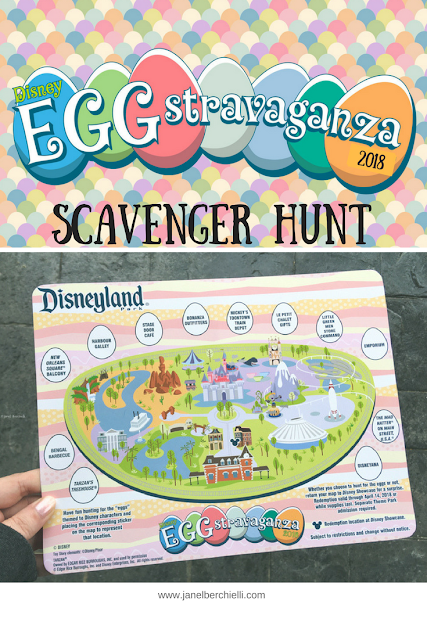 This is a fun activity to do as a family, but I heard from others it can take a few hours to complete inside the park without any hints. 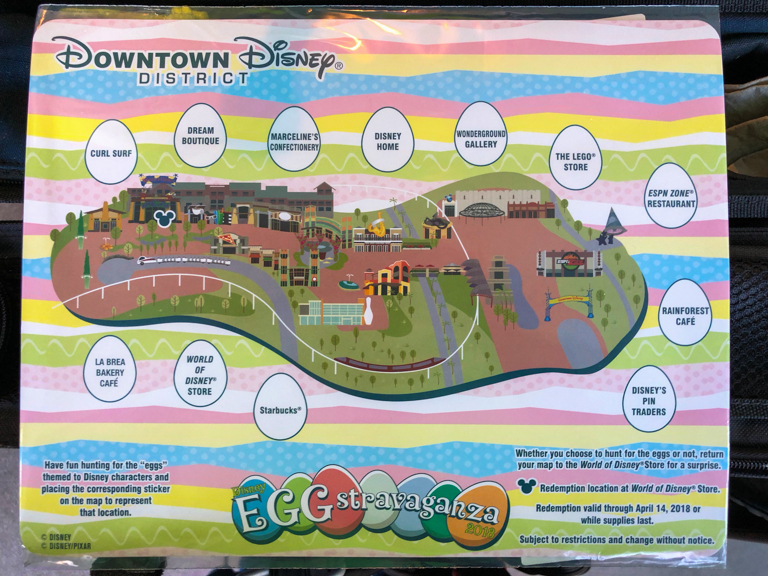 If you don’t have a park ticket you can still play with the Downtown Disney map. 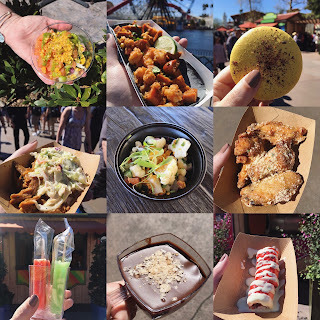 It’s possible the Downtown Disney Hunt might be shorter than the Park with less walking. I wish it was available for a longer time than the two weeks, so keep that in mind it is a spring break event and the prizes are while supplies last.